The links on this page are not put here for commercial purposes, but because they relate in some way to the contents of the books represented on this website. http://www.visar.org/ Jim was involved with the formation of this organization in the British Virgin Islands which can legitimately claim to have saved many lives and rescued hundreds of people from distress. Jim was a board member for many years and a former president, also a senior coordinator for nine years. VISAR benefits financially from every copy of the Wanderings and Sojourns series sold in the BVI. http://www.katsbvi.com/ This is an organization in the BVI in which Jim was a founding director. He taught the programme for four years helping dozens of children understand and be comfortable with their marine environment. http://www.facebook.com/home.php?sk=group_197888530225390 Where you can see new posts and read comments from members related to Jim’s books and events. 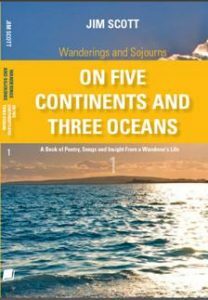 http://http://www.nonlocalflow.com/This is the website for a beautiful book compiled by Mary Orme-Ellis from the wonderful writings and artwork of her talented daughter Tanya, an adventurer, humanist and sailor tragically lost to the world in her mid 20s. Mary and Jim worked/sailed together on occasion in the British Virgin Islands and on delivery to the States and she has been a much respected friend for well over a quarter of a century. When Geoff had his accident in the BVI which left him quadriplegic, Jim helped organize and then flew with him in the USCG helicopter that med-evacuated him to ICU in Puerto Rico, and stayed to help organize the support there for Geoff which he needed. Commuting back and forth in a friend’s cargo plane Jim stayed involved until finally Geoff was able to be repatriated to England. 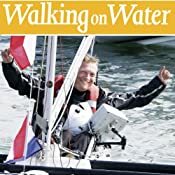 Since then Jim has watched in awe and utter respect Geoff’s amazing journey as he not only overcame his devastating disability but forged a place for himself in the history of sailing, became an international ambassador honoured by royalty and led the charge that generated a whole new realm of prospects for disabled people. Jim tells part of this amazing story in book 3, but encourages everyone to read Geoff’s own accounts of his amazing achievements. A Charity founded by Geoff Holt to provide access to marine activities for the disabled. http://www.artssocietyking.ca/ North of Toronto, Ontario, in horse farm country is a bucolic municipality spread across the rolling hills of the Oak Ridges Moraine, the home of an eclectic and talented artisan community. This is where Jim presently resides and where much of the work on the Wanderings and Sojourns series was carried out. http://friesenpress.com/ Each writer will have their own requirements of the publishing house with whom they work. When reviewing the options Jim found Friesen Press seemed to have what he was seeking in terms of services and partnering attitude. So far he has not been disappointed at all. http://www.escape-bvi.com/Julian_Putley.aspx Julian Putley, a long time friend of Jim’s from the islands, fellow sailor, world traveller and author has published several books, some of which are listed on this link. He captures within his work many aspects of island life often tinged with a sardonic sense of humour that could only come from a Britisher. Jim recommends you give his books a try, especially if you are going to visit the islands. http://www.trafford.com/Bookstore/BookDetail.aspx?Book=165233 Another good island friend of many decades, Tony Snell definitely ranks as one of the most entertaining people Jim has ever had the pleasure to know. The episodes of his incredible life are recounted in this book which, unless you know the man, you would think were fabricated …. an incredibly unbelievable, yet absolutely true, romp through the life of what must surely be one of the worlds most interesting characters. http://www.vanderwal.com/ Onne van der Wal is arguably one of the world’s leading nautical photographers. A friend of Jim’s from his South African days they also delivered a beautiful 59′ S&S yawl from Gibraltar to Antigua back in the 80s before Onne went on to develop his brilliant photographic career. Check out his website and if ever in Newport RI, be sure to visit his amazing gallery. http://www.fattygoodlander.com/ Captain Fatty is a Sea Gypsy extraordinaire who, fortunately for the rest of us, is a prolific writer of books and articles for sailing magazines. Gary and his globe-roaming family were among the shipwrecked sailors in Culebra described in the story “A Voice in the Storm” found in book 2, “On Tropical islands and Sparkling Seas”, and were interviewed in the documentary Jim co-produced after Hurricane Hugo had passed http://www.onlinebvi.net/play.php?vid=577. His books are recommended for anyone who has the slightest inkling to wander, sail, explore …. or just flat out laugh! Great reads all of them. http://wcyork.ca/york A dynamic community of professional, semi-professional and keen amateur writers of all genres, editors, agents, publishers in York Region, Ontario, where I currently live. Highly motivated, supporting, inspiring group. http://www.allatsea.net/ The Caribbean’s waterfront magazine featured Jim, his books and relationship with Virgin Islands Search And Rescue in their April 2012 edition. http://looseleafpoetswriters.com A new and dynamic venue for writers and often musicians to share and hear in Toronto’s West End as well as a happening global internet community.